A new report into Konami has delved further into the troubles that have left Metal Gear Solid series creator Hideo Kojima being posted to leave the company, painting a bleak picture of working conditions for staff. According to Nikkei, as reported by Kotaku, insiders have claimed that Kojima Productions has now been renamed to ‘Number 8 Production Department’. Staff here are also not connected to the internet and are unable to send external emails. Problems were alleged to have begun in 2010 following the release of mobile game Dragon Collection – which is said to have made big profits on its relatively low dev budget of below $1m. Japanese-to-English game localiser Thomas James said Konami founder Kagemasa K?zuki was not keen on increasing console game budgets for diminishing returns. As of April 2015, development costs on Hideo Kojima’s Metal Gear Solid V’s are believed to have ballooned to some $80m. 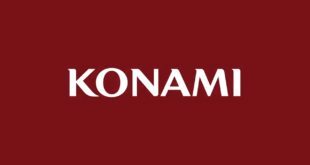 Development on other Konami titles such as Tokimeki Memori and Suikoden meanwhile are thought to have been halted completely. The report also delves into working conditions at the company. Lunchtime leave is regulated with time cards, so those are do not return in time are “outed” within the company. Employee email addresses meanwhile are randomised and changed regularly. Employees deemed to be underperforming are said to be reassigned to new job roles, such as in security or cleaning up the company’s fitness clubs. This affects both junior and more senior employees. One notable incident occurred when one staff member announced he was leaving the company on Facebook. Those who liked it, including those in upper management, were assigned new jobs. 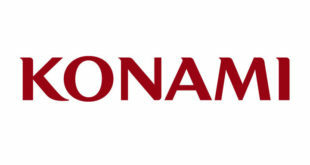 It’s not clear what the future holds for Konami in console game development. In May Konami CEO Hayakawa told Nikkei that moving forward its main focus would be on mobile. A new Metal Gear Solid was announced in March, though it was not specified what form this may take.